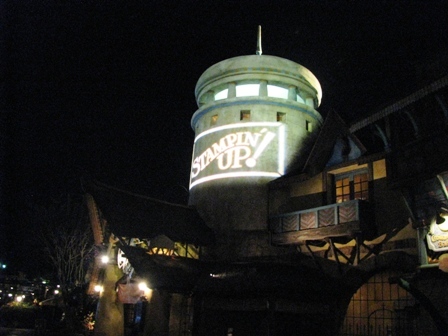 Stampin’ Up threw quite a shindig for the Manager’s here at our Leadership conference! We had Marvel Superhero Island all to ourselves at Universal Studios Islands Of Adventure. I forgot to take pics of the food set up all along the streets, but it was incredible! 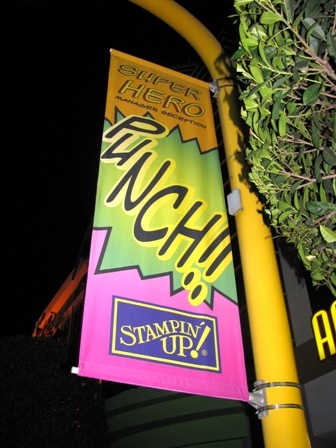 There were Stampin’ Up banners and shout outs all over the park for us! Matt says they call it Gobo….. The Super Heroes were out in force for us! 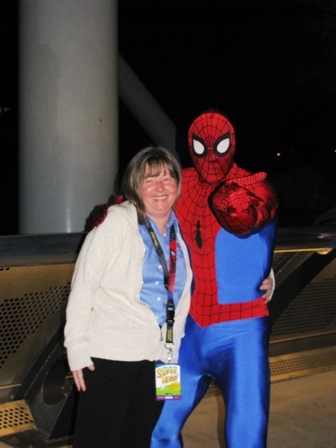 The amazing Spiderman himself…. 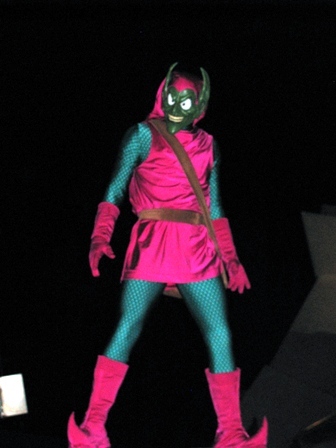 The Green Goblin, who was creepy and menacing the whole time! 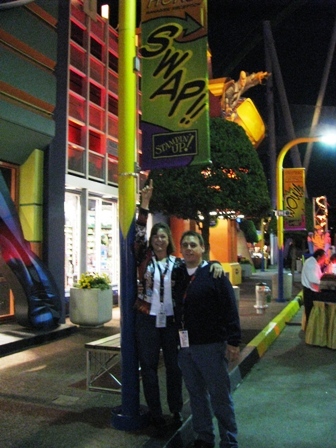 Matt actually works at Universal as a Trainer for leaders so we were right at home! We even got married at Universal (I think he has details of that on his page) It was great having him as a guest for the manager’s night so he could experience it with me! 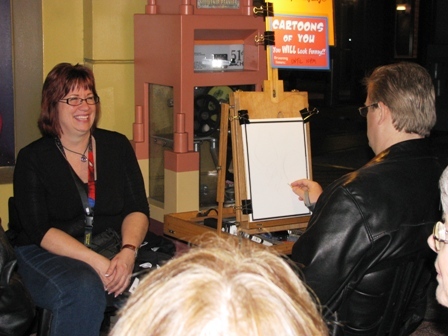 Susy gets a caricature! I heard someone call out that the artist needed a bigger sheet of paper to capture her big personality! Food tables lined the streets and we took full advantage of it! One of my fav pics of the night! 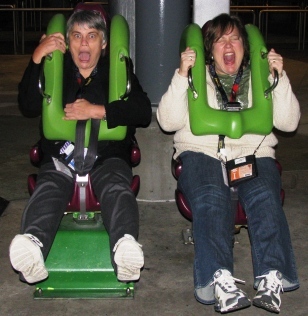 Karen Titus and Lisa Schmid taking a test ride on The Hulk! We couldn't get Karen on the rollercoaster BUT she went on Spiderman 2x! 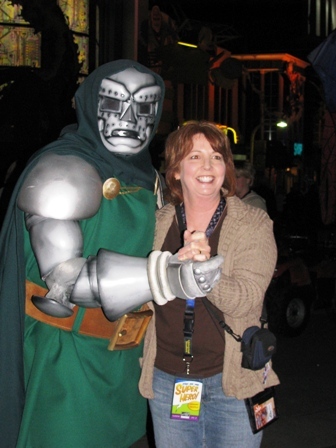 By the way, I WISH I would have been fast enough to get a pic of Carol Nordquist on the hulk! Those of you that know her would have loved seeing her go on all the rides, more than once! She loved it! 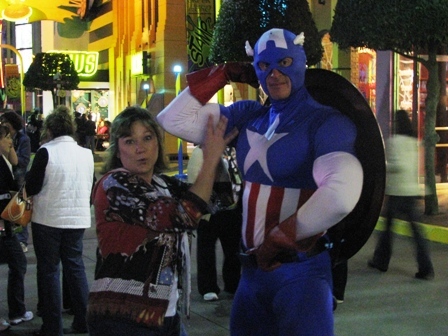 While Karen and Matt went on Spiderman again, I was checking to see if Captain America's muscles were real. Yup, they were! Dancing with the Super Heroes! Video: (taken with my camera so no editing but you can get the idea!) It may stop and start if there is a lot of traffic. Let it buffer and load before playing will help. 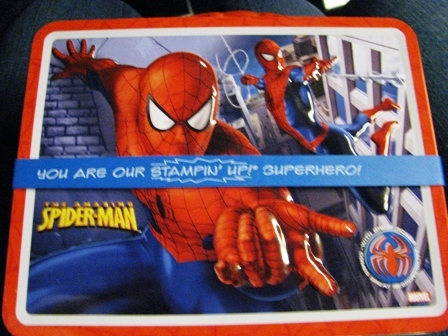 As we left the park to get back on our bus, SU gave us these awesome lunch boxes! Jan is my upline and these are some great pictures of her! Thank you Linda for all of the news. I really appreciate it! Thanks for all your updates Linda! It is so very sweet of you to share the excitement with all of us. I’ve loved seeing all your updates. The Universal one is especially great! Fun for Matt to “play” at work. 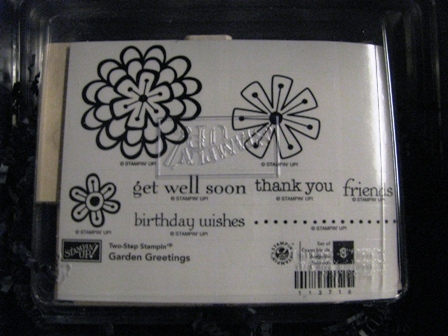 That stamp set looks great! Can’t wait to see the new catty!!! Makes me want to promote to Manager. Hmmm, maybe 2009 will be the year. Thank you so much for sharing everything, I’ve loved it all! You look like you had sooo much fun. Thanks for sharing with all of us. Looks like SU went all out for you! 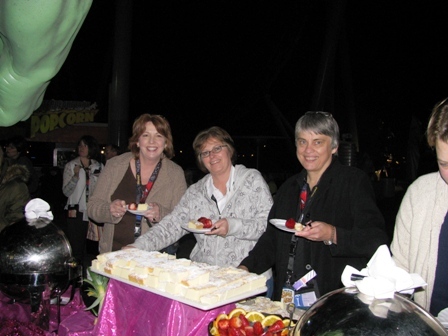 Thanks for taking the time out of your fun soiree to send us daily updates. 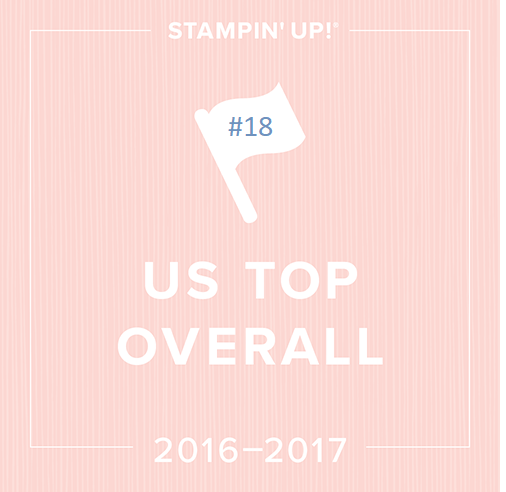 It’s greatly appreciated and you guys certainly deserved all of the accolades and star treatment that you received.